Soft-Landing is calling Blockchain scaleups and representatives of startup hubs from all over Europe to discover the vibrant Lithuanian startup ecosystem in June. Applications open until 7 May. The first Soft-Landing Mission ever landed in Berlin and was a smashing success! Right before Easter, we had the pleasure to welcome a delegation of 18 people coming from 6 different countries for 3 days to explore Berlin’s startup hub – a view from our German hosts. European startups fail to scale, which is often the reason why they also fail in general. To avoid this, startup ecosystems must be better connected and support the flow of startups from one ecosystem to another. Soft-Landing comes as the answer. Calling high-profile Startups/Scaleups and Ecosystem Builders to join our programmes in the Paris startup ecosystem in May 2018. 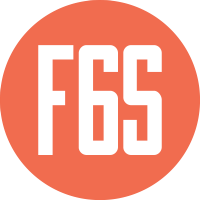 Applications are open on F6S until 11 April 2018 – limited places available. 19 March 2018 — Soft-Landing partners proudly become “Startup Europe Ambassadors”. The Startup Europe Ambassadors are a group of key influencers in the European startup ecosystems. The Netherlands will host the first Soft-Landing stay of the project. It will take place from 9 to 13 April at Crosspring, our partner in the country. Applications are now open on F6S! The first Discovery Mission for Ecosystem Builders will connect you to Berlin, Germany. Between 26 and 28 March 2018, participants will have the opportunity to get to know this startup ecosystem. Applications now open for Ecosystem Builders! Are you a Startup Ecosystem Builder in Europe? Join Soft-Landing and improve your know-how on scaling a business to top startup destinations for a 3-5 day intensive Discovery Mission.